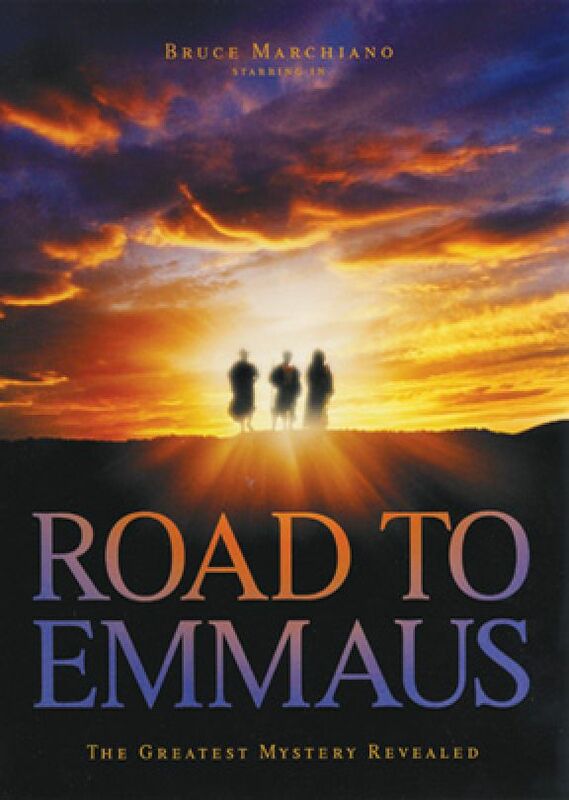 ROAD TO EMMAUS is a short DVD movie about the story of the two disciples of Jesus who, on the road to Emmaus, learn from a stranger how Jesus Christ's death was the fulfillment of many prophecies. Taken from Luke 24 in the Bible, the movie shows two confused disciples traveling to the town of Emmaus. They talk about the death of Jesus and how his death was not what they expected from someone they thought to be the Messiah. A stranger walks with them and begins to explain to them the salvation plan of God from Adam through Noah, Moses, and Abraham. As they get to Emmaus, the two disciples suddenly realize they have been talking with none other than Jesus himself. ROAD TO EMMAUS is well made, acted, and shot. There are nice production values as the disciples walk through first century villages. It is, however, a half hour of characters simply talking to one another, without much conflict or action. The move stars Bruce Marchiano as Jesus, an actor who has brilliantly portrayed Jesus in previous movies. Because the Bible narrative does not record exactly what was said on this road, where the disciples got a "multi-mile Bible study," the filmmakers have had to take liberties as to what Jesus may have said on the road and how he connected the Hebrew (Old Testament) prophecies to their fulfillment in Jesus. As a believer, this is a wonderful survey of how God has so wonderfully worked out salvation. Unbelievers with just a little bit of Bible background also will be able to understand how they are separated by God because of their sins and how Jesus Christ's death and resurrection is the only way to bring them to God, forgiving their sins and creating in them new life. ROAD TO EMMAUS is a good, wholesome short movie to watch with the whole family and with unbelievers. Best of all, it is filled with the Gospel and clearly explains how the Old and New Testaments are united in Jesus. Jesus' disciples are completely at a loss after His death. Two of His death. Town of His companions talk about that event, trying to figure it out, when they are joined by a mysterious stranger who begins to explain everything to them as they have never heard of it before. This DVD is unique in that it covers the events leading up to the movie. Good scenery, simple and direct cinematography, and a gentle soundtrack enhance the dialogue-driven story. It displays the culture of the time accurately and is a good recap of the Bible passages. Although the acting is weak at times, the message is strong enough to overlook it. 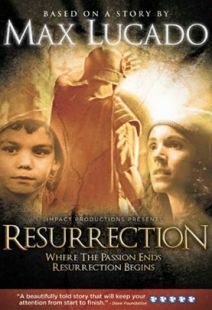 This film would enhance a Sunday school class for fourth grade students and higher. What happened in the days after Jesus Christ was crucified? Road to Emmaus offer a dramatized told in Luke 24:13-35 (in English or Spanish) version of the story depicting the interactions of two first-century travelers - shaken by news of the Crucifixion - and a mysterious stranger who joined them, someone particularly knowledgeable about the Old (at that point, only) Testament of the Bible and the implications of the Hebrew prophecies for contemporaneous events. As they walk, the men explore the value of Jesus's life - and death - putting historical events into context and emphasizing the personal ramifications of faith for the two men. Of course, Christians believe that the stranger was actually Christ - rise from the dead to fulfill biblical prophecy while making some last visits to the faithful before ascending into Heaven. 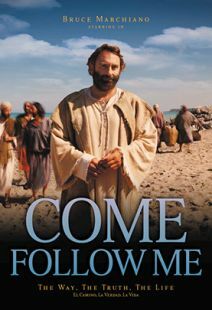 Directed by Steve Boettcher, the film depicts Jesus (Bruce Marchiano) as a gentle, wise and patient teacher, sharing thoughts about his mission and role in the grand scheme, including the spiritual concepts of sacrificial love and dying to live. This video is both a powerful introduction to, and a detailed review of, God's plan of salvation. The music, dialog, and actors are so compelling. Law and Gospel are revealed at an increasing pace as the film progresses. I am using this video to tell my friends about Jesus and His love for everyone. 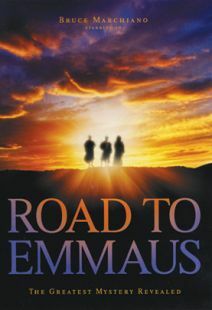 I recently bought "Road to Emmaus" from Vision Video and could not have been happier with it. It was an excellent presentation of the gospel of Jesus Christ and would recommend it to everyone, believers and nonbelievers alike. Not to mention the professionalism and quick shipment of my order was great! In this film you will see how the word of God take life and when Jesus explain himself all the Scriptures to the 2 disciples of Christ. The only problem is that the 2 nails showing here in the wrist does not match what God said at Psalms 22:16 . For dogs have compassed me The assembly of the wicked have enclosed me. They pierced my hands and my feet. Check doctors notes about what is described by hands and that does not includes the wrist . But still this movie is great!!!!. buy to see it how Salvation is explain by Jesus. Excellent portrayal of that Bible story! The gospel message is easily understood and so appealing. The deeper truths are there for the mature believer also to esteem and marvel over to keep the gospel fresh in our thoughts. God bless you for this. The love of Jesus for His own is clearly shown and so precious. A wonderful 30 minute film. Many Christians have wondered about the content of the dialog between Jesus and Cleopas and his friend as they walked the road to town of Emmaus shortly after Jesus was raised from the dead. 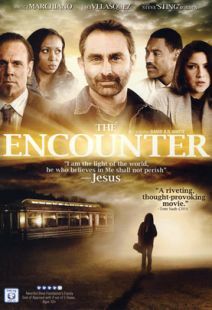 The makers of this film use Luke 24:13-35 to craft an exchange of information that highlights what was probably said on this historic walk. The film is very uplifting and I plan to view the film again with a few friend the next time they visit. It is very well done and the actors are very professional. This is an excellent evangelism tool! It is VERY WELL DONE!! I am going to take the Spanish version to Guatemala on a mission trip. I am also going to give away copies in my neighborhood. VERY NICE MOVIE AWESOME WE NEED THIS KIND OF MOVIES. VERY MEANINGFUL. When I first watched this movie I was very impressed by the quality of how it was put together. It became alive to me. Excellent Movie! It really put everything in to perspective for me. I ordered it and will watch it over and over.. Great tool to show the kids. Love it! 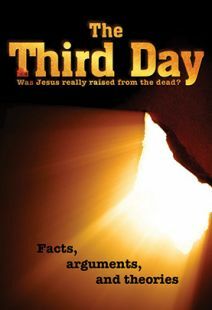 This is a must see dvd for anyone trying to understand Gods message. It helps you know the the truth of God and Jesus in a way that is made simple. I recommend it to anyone with doubts about their faith in Christianity. I give it 4 stars plus. I showed it to the catechist's grade and helpers at the mid year meeting and they were so impressed & asked me to order copies for them. We are now watching this in 6th, 8th grades and high school. Great story and beautifully done. This is a great attempt at explaining the act and purpose of the crucifixion of our Saviour and God's great love for the world. If this is the exact one I caught the last 10 minutes or so on TBN this morning, although the phone number is different, this was fabulous salvation wise absolutely correct!!!!!! We can't keep the commandments ourselves, ... reference to Passover as a background .... I'm always on the lookout for dvd's that are not too "fluffy" or that include the foundation of salvation which is further set forth as the Lord completes His doctrine in the letters epistles i.e. those already saved yet undergoing a sanctification process Hebrews 10:14, another great mystery two things at once. But already saved ex Ephesians 2, Col 1,2,3. This was "Rock!!!!!" solid!. Hope all your work is like that. It is needed, needed, needed! Thank you. I first got this video a few years back and have given it to everyone who attends my Bible studies. This year I ordered 100 and put them in small gift bags and hung them on doors in my neighborhood. I thought that even if they would not go to a church they might look at the video and at least understand more about the mission of Jesus that He came to die so that we might live eternally. Thanks for this wonderful tool.